The enjoyment, mastery and promotion of photography through education, cooperation, effort and good fellowship. Club meetings are held on the 2nd Thursday of each month. We meet at the 7:00 PM at the Baker Heights Social Hall, 1401 Popular, Everett, WA. At a General Club Meeting you will find friendly competition, education, presentations, commentary, refreshments, good company and conversation. Our membership in PSA allows us to participate in the PSA interclub competitions including Creative, Nature, Travel and Interclub Competition. 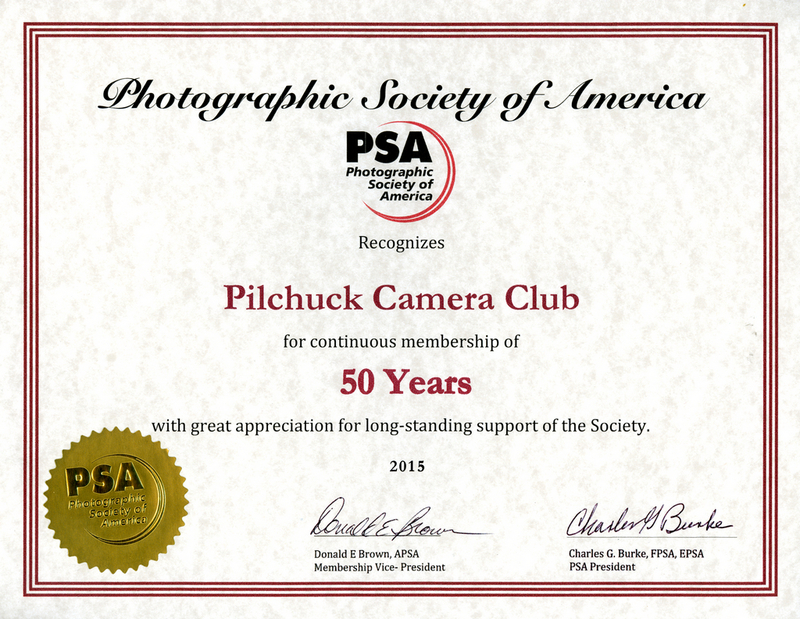 Pilchuck Camera Club has been a member of PSA since 1965 and celebrated 50 Years of membership in 2015.